Fiona Moverley put a exclamation point on her run of success over the past month, by winning the 2016 CSC Delaware Open. She turned by a challenge by Nikki Todd of Canada who was playing in her first PSA final. After a nervy start to the first two games, where Todd took total advantage, using a combination of volley drops and working boasts to good effect to sneak out the first game. However, at the business end of the second game, Moverley seem to find her length and which forced Todd into some loose balls that Moverley promptly dispatched. The third and fourth games, saw more of the same, with Moverley moving Todd to all four corners of the court, cutting off any loose balls on the volley. 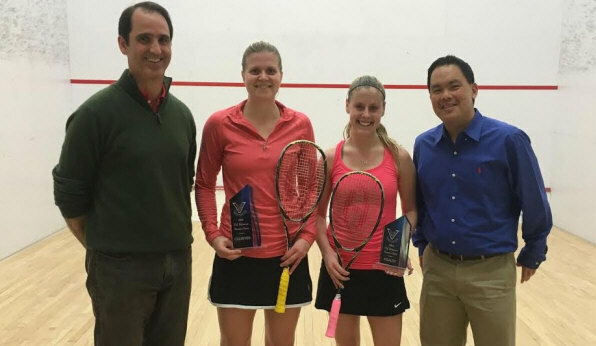 Down 7-1 in the fourth, Todd put up slight resistance to the English woman’s onslaught but it was all in vain as Moverley closed out the game with a couple of beautiful lobs and a volley drop to claim her first Delaware title. She hopes to continue the trend of past champions of which three have gone on to be placed in the top fifteen in the world. There were a couple of surprises at the Vicmead Hunt Club tonight, not that there is a Canadian in the Final but rather there is a Canadian who is not named Sam Cornett(last year’s winner who is recovering from a foot injury). Nikki Todd is heading to her first ever final as a pro and she played some excellent strategic squash to get there against the number one seed Siyoli Waters of South Africia. Todd, will never power anyone off the court but uses a combination of deft shots and retrieving ability to keep her opponents off balanced. Tonight was no different, she took advantage of Waters slow start in the first game to run away with that game. In the second game when Waters ran out to a 5-0 lead, using her pace and volleying to put Todd on the back foot, Todd just absorbed the pace and made Waters have to work harder to hit her pacey shots. She would have won the second game if it wasn’t for a service out at 8-8 all at which point Waters, played two brilliant winners to close out the second game. However, the next two games, Todd came out and put on a clinic in how to move your opponent over the diagonal. In the end Waters had no answers, and now Todd moves on to her first PSA Final. The second semi final started off looking like the upset trend would continue but when you are playing Fiona Moverley these days, you must expect there will be some resistance at some point. Moverley who is coming off good results in Toronto and Winnipeg lost the first game to Canadian Hollie Naughton, who came out on fire. However, as the match went on, Moverley limited Naughton’s shot making ability and even added in a few beautiful drop shots from the back for good measure. Her steady approach forced Naughton in unforced errors and she went on to win the next three games comfortably. She will face a Canadian tomorrow who has announced her arrival but looking to put an exclamation point on it. After a night of upsets on Day 1 of the CSC Delaware Open, the quarter-finals saw the results return to its’ expected norms. Maybe it was the two inches of snow (that’s 5cm for you metric folk) and the return of normal winter temperatures in these parts that helped things fall back into place. The top two seeds were finally in action after having byes in the first round. Up first was Siyoli Waters of South Africa who did not allow Kelsey Engman of the USA to even garner any belief that she was going to have a repeat performance from the night before. Waters was aggressive in getting onto the ball and had Engman twisting and turning, not allowing her to set her feet. Engman was constantly on the backfoot which lead to loose balls, that Waters quickly dispatched into the open court. she did not make the same mistake she made in the fourth and closed out the match 11-9. Tomorrow she will have to make sure to bring her best against Waters. shot making of her opponent Chenya Tucker, who even had the audacity to hit a x-court nick return on match ball. Naughton’s opponent tomorrow night will be Fiona Moverley of England. Moverley dispatched country woman and Harvard bound Georgina Kennedy in straight games. Moverley who is coming off a string of successful results was in tough against Kennedy in the first game but once Moverley won the first game 13/11 after saving game ball with a backwall nick, it was all smooth sailing from there, as her reach and shot selection forced Kennedy into trying to be even finer with her shots. This produced a lot of unforced errors and Moverley coasted home from there. The semi-finals will see the top four seeds battle it out for a spot in the final. We will see whether this “normal” trend continues or whether the youngsters from Canada can create a stir. 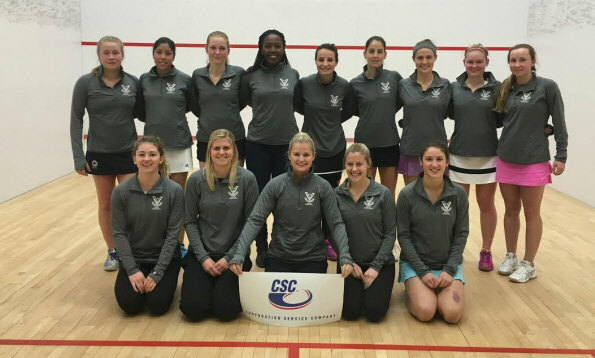 As has become an annual ritual, the CSC Delaware Open always presents its share of upsets. The 2016 version has gotten off to a similar start, with two upsets on day one. The first seed to go down was #8 Alison Thomson of England who lost to Mexico’s Diana Garcia in four tight games. The match started off with Garcia taking a six love lead in the first game before a few errors crept in and Thomson with her power game and retrieving took control to go up 9-7. However, after one fifty plus shot rally(I stopped counting after that) Garcia seem to gain momentum and ended up closing out the game 12-10. Garcia used the momentum at the end of the first game to sneak out to a big lead in the second which she eventually won by a 11-4 score. 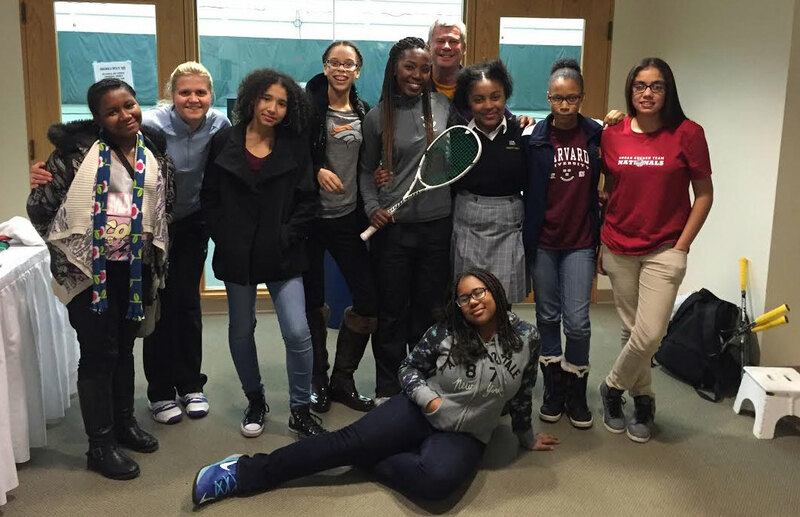 However, Thomson was not done, as she regained her composure and using more of the court and mixing her shots was able to win the third game. It seemed by the fourth game that the momentum had turned, but after some long rallies to begin the fourth game, Thomson began to make more errors, while Garcia seem to hit tighter and tighter shots. In the end Garcia was just too good on this night. If the spectators thought the upsets were done there, they were in for a surprise as Kelsey Engman of the US took the court against Thiasa Serafini of Brazil. The players traded games back and forth, and at 2-2 all it looked like Serafini was in a position to close out the match having a match ball at 10-9, however Engman closed out the match with three straight points. The battle of Canada between #3 seed Hollie Naughton and Danielle Letourneau was another see-saw battle and the score was not a good indication of how close the match was. Letourneau, the recent winner at the Liberty Bell in Philadelphia, and Cornell grad, came ready to play and only seem to get better as the match went on. However, Naughton who has just beaten Letourneau in Winnipeg, was determine to continue her winning ways and chased down every shot. This match a little of everything, great ball striking, great retrieving and some audacious shot making. Naughton will be happy to move on with the 3-1 win. The other matches saw #4 Nikki Todd, #6 Cheyna Tucker and #5 Georgina Kennedy move on in relative ease, against locals, Julia Ward, Jen Cleary and Colette Sultana of Malta. The locals sure to benefit from the exposure against some of the best players in the world. Friday night will see the top two seeds Siyoli Waters and Fiona Moverley in action for the first time after having byes in the first round. If Day One is any indication, the quarter finals could be a real treat for the members and guests of Vicmead Hunt Club.